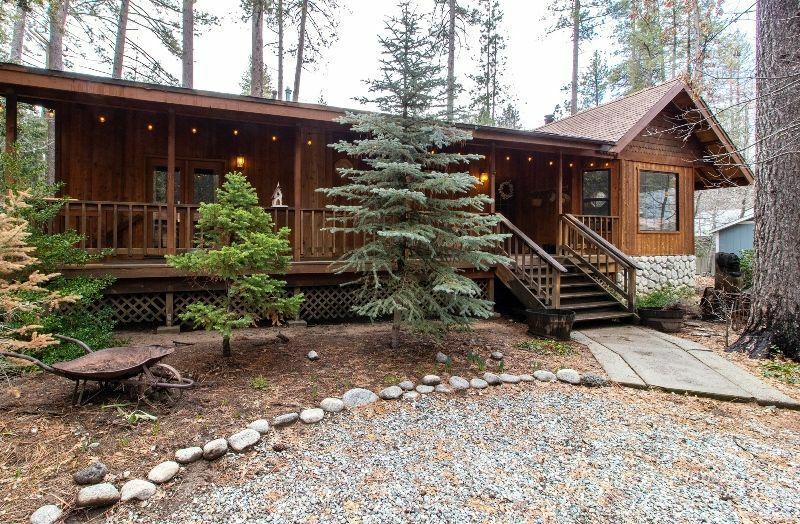 Through the front gates onto the quarter acre of tastefully landscaped, fenced yard, the 3 Bedroom, 2 Bath cabin is the real welcoming draw. An inviting Covered Porch leads to the large, comfortable Living Room with brick hearth, big picture window and views of the kid's play area, carport/storage and oversized shed. Dining area includes wood burner for warmth and open access to Kitchen. Decks front and back. Short walk to town. Joyful family home or vacation rental.